Just a Guy’s monthly music article includes the top songs of September 2014. The restrictions are simple, the album or the song must have been released during the month in review. So as to encourage musical diversification, we only select one song per album per artist. With all the stipulations out of the way, let’s take a look at the best songs from September. The first single off Nonpoint’s latest album, The Return, is “Breaking Skin’. The Return is Nonpoint’s follow up to their self titled release in 2012 and is their eighth studio album. “Breaking Skin” has a very consistent hard rock feel that Nonpoint is known so well for. Simple lyrics make the song easy to remember and keeps on the emphasis on the heavy tunes. Lecrare Moore is a Christian hip-hop artist who has made waves on the billboard charts. “Nuthin'” is the hit single from his seventh studio album Anomaly. The song and the album as a whole tells a story of growth and just like that story both his sound and lyrics have matured. The talent level clearly shows out in this song. The free album that was featured on the latest iOS update and on Apple’s recent commercial is “The Miracle (of Joey Ramone)” from the ageless U2. Even though the album was available as a free download, criticism was extremely high due to the fact that it was automatically added to iTunes accounts without user consent. Nonetheless the song is solid and highly polished all around. 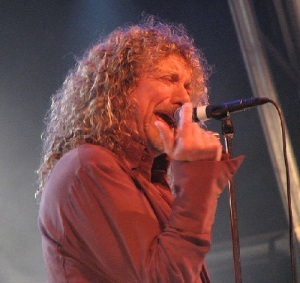 Robert Plant’s tenth solo studio album release is entitled Lullaby and… The Ceaseless Roar and features his backing band The Sensational Space Shifters. Plant’s soothing tunes are heard over twangy music that seems more suited for a country ho-down. The pace speeds up as the song goes on and you can hear echo’s of Plant’s talent on the vocals. It’s a unique sound all around. “Seen It All” comes from Jeezy’s Seen It All: The Autobiography and features the legendary Jay-Z, who’s lyrical touch never hurt. The song is the second single from the album. The song itself is more like a poem in that it feels as if it is spoken with a instrumental accompaniment. Death From Above 1979 took some time off, but the duo returned with The Physical World. “Government Trash” stays thrashy while still retaining the elements from the band’s debut album. Fan’s will appreciate the return to form from a group that seems to take their time between releases. It turns out that “Past Ideas of the Future” is the last song that Hostage Calm released as the band broke up shortly after releasing the album Die On Stage. “Past Ideas of the Future” is a wonderful way to wrap up that career though. At times it sounds like one of Springsteen’s epics, but it’s undeniably Hostage Calm. If this is the end of the band’s run, this is the perfect song to go out to. Sleepwave is the new project from former Underoath frontman Spencer Chamberlain. Sleepwave is decidedly unlike Underoath. The heavy screaming is gone and is replaced with a more radio friendly rock, taking cues from the bands like Deftones and Filter. “Through The Looking Glass” lets Chamberlain channel his voice in a cleaner tone, allowing us to see a cool progression from screaming to clean vocals. Fans of Underoath may be searching for something more, but those that stick with Sleepwave won’t be disappointed. Manchester Orchestra released Hope, which is a reimagining of their previous release Cope. “Cope” is the close track on both albums and is deeply moving on the Hope edition. It’s stripped down, with cleaner vocals and lighter instrumentation. Fans of the band need to check out both versions of this very cool idea.